When you see a still working Autocar DK from the land of rust you just have to stop for a picture even if old Mr. Sun is blaring directly into your lense. Overall I would give this truck a 9 out of 10 for general condition. 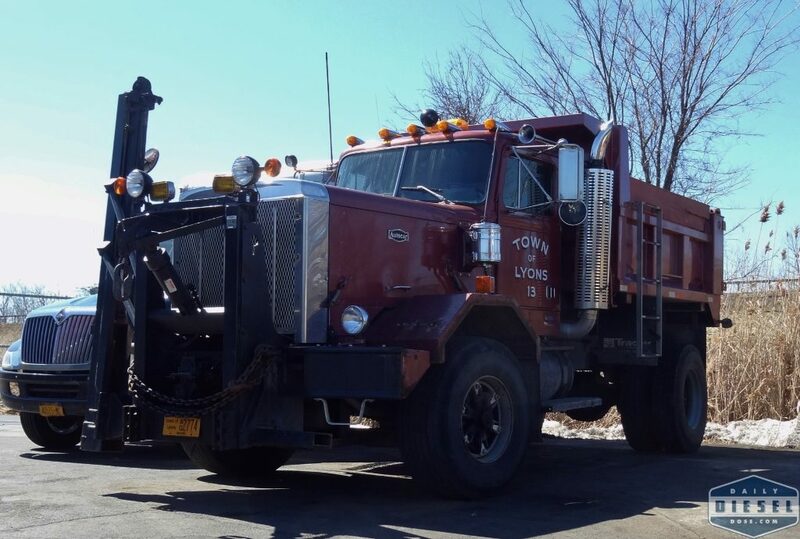 The Town of Lyons is keeping this truck in excellent condition which is no small feet considering it is at least 30 years old. Besides this old Autocar, Lyons NY is also notable as being the birthplace of Syracuse men’s basketball head coach Jim Boeheim. Do you have an Autocar you would like to see featured in Autocar Mondays? Email eric@dailydieseldose.com today! Yeah, they are starting to get tired of me.